The city of Tel Aviv was named after a book written by Theodor Herzl, Altneuland, (Old-New Land). Tel in Hebrew is mound, which represents the old, while Aviv means spring, standing for the new. On Monday, we attempted to discover both of these layers that exist in the first Jewish city. 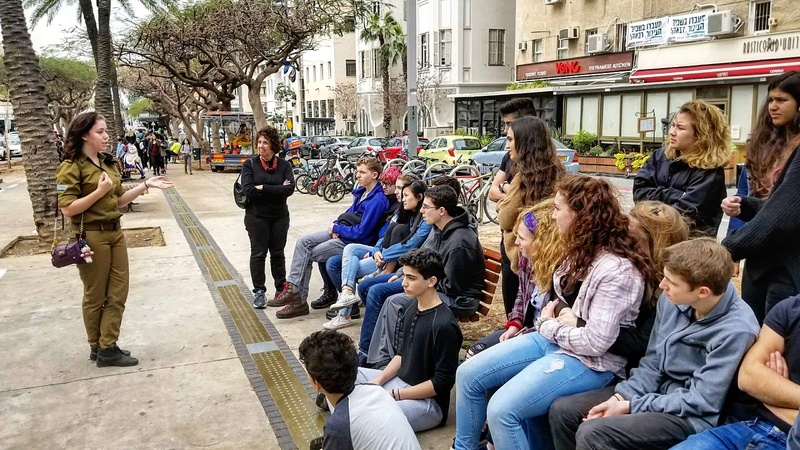 Starting at the Independence Hall on Rothschild Boulevard, we sat in the exact same room which 70 years ago (minus three months), David Ben Gurion declared the establishment of the Jewish state and initiated a new chapter in the Jewish story. At Rothschild Blvd, we met with Ale, daughter of David Strauss who currently serves in the Israeli army. Ale shared with us her unique story from Beth El, through HiBuR to the IDF, and answered many great questions from our teens. We continued to Yaffo, the ancient city from which modern Tel Aviv sprouted from. 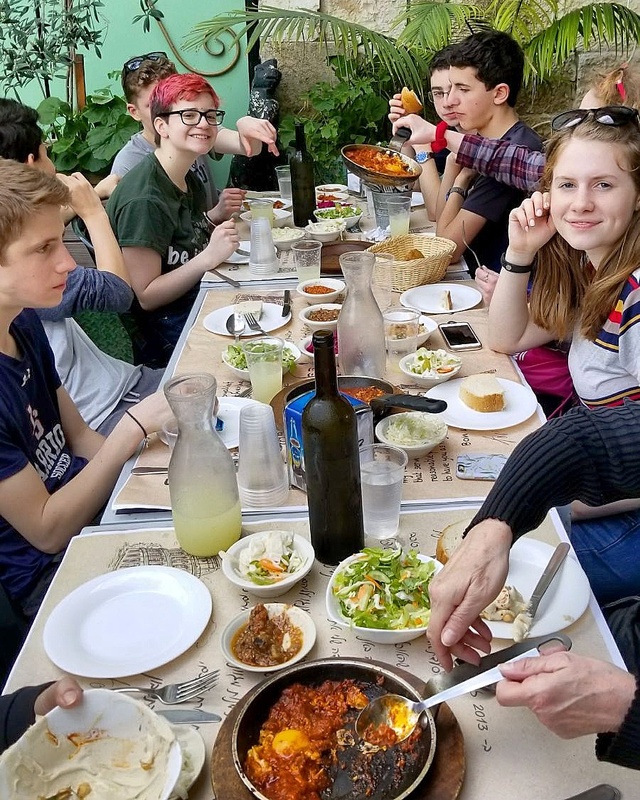 Our Israeli teens guided us through the old city, and we concluded with an incredible Israeli lunch at the renowned Dr. Shakshuka restaurant, followed by some free time at Yaffo’s famous flea market. For our last stop we headed north to the Palmach museum. The Palmach, or the Striking Units was one of Israel’s paramilitary organizations which helped establish the Jewish state. 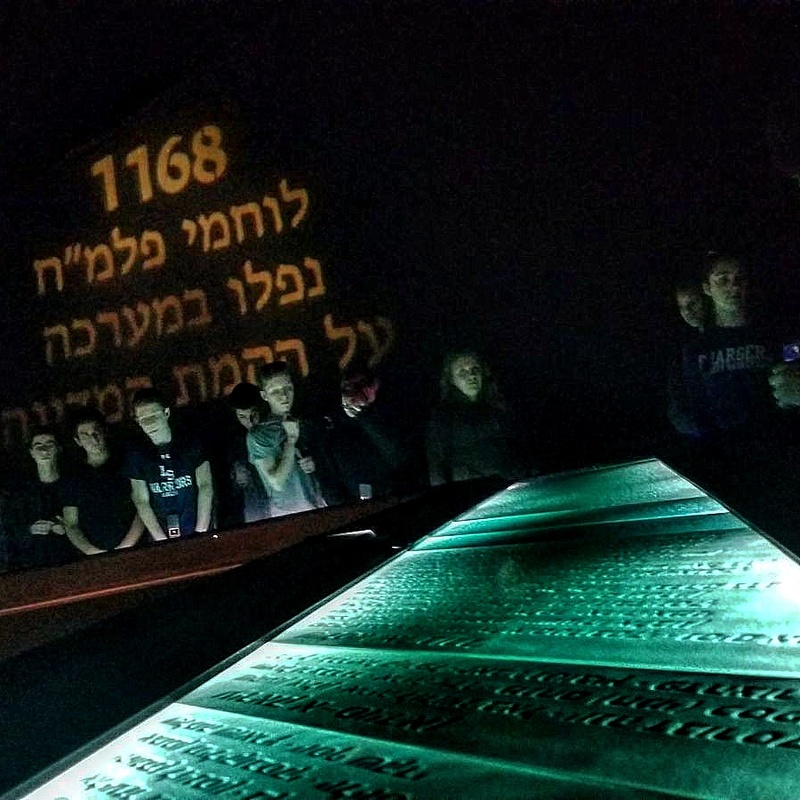 This very engaging museum helped our teens get a better understanding of the struggle behind the establishment of the state, led by people who were only about as old as our teens. Have a great week and keep following us!